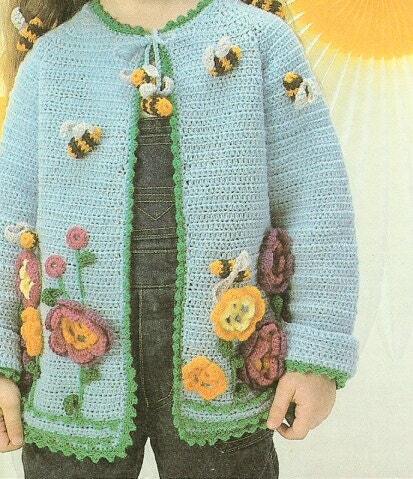 A lovely children's jacket pattern for crocheters. 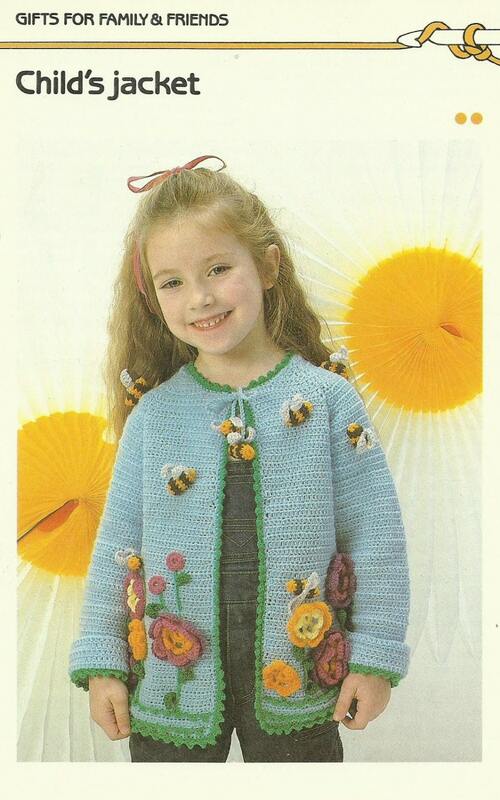 This pattern is marked with EASY (Two dots out of four) in the vintage book of 80s patterns we scanned it from. The jacket is blue with green edging, and serves as a nice background for 3-d crochet shapes or appliques. You recieve a FULL COLOR pattern download that includes a diagram of how to assemble the jacket, and a closeup on the Working Into Free Loops technique. Pattern is from the Golden Quick and Easy Crocheting series released in the 80s.